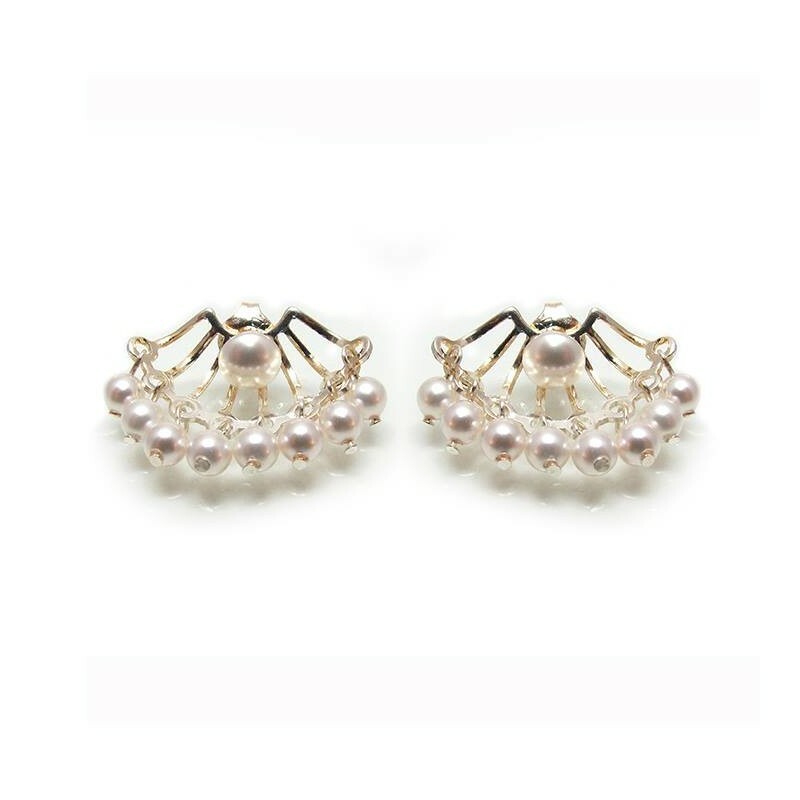 Pearl ear jacket and silver. 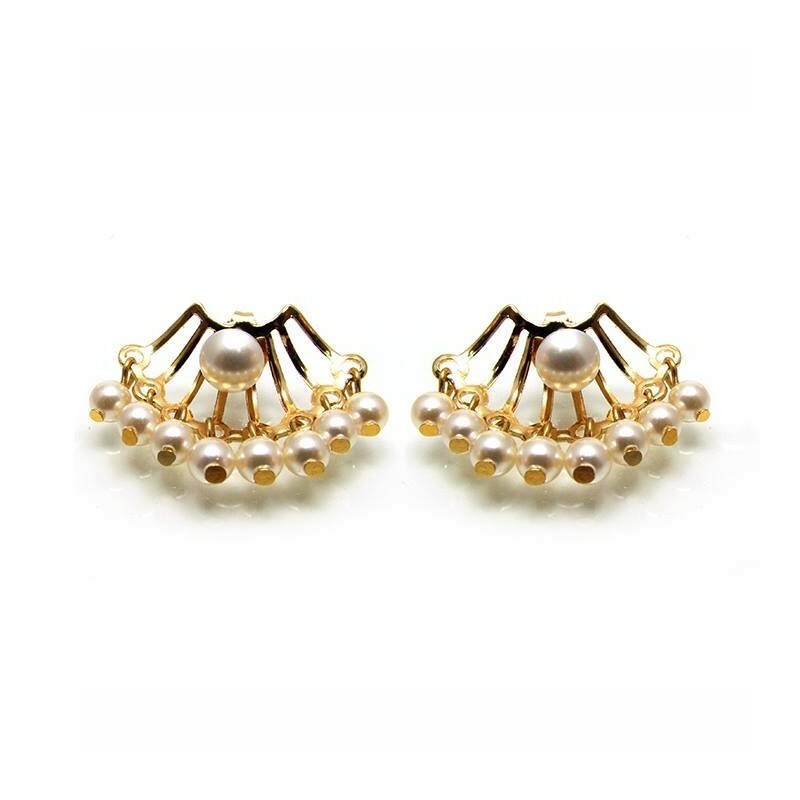 Delicate front back earrings, versatile and trendy pearl ear jackets design. combined with 8 genuine swarovski pearls and one more pearl post. 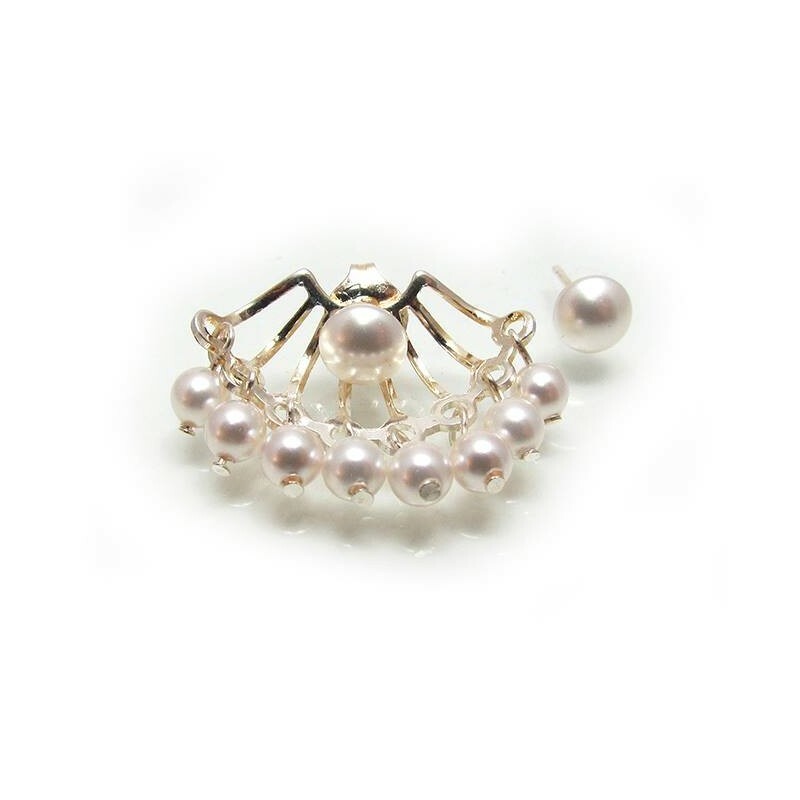 The pearl can be interchange with mostly any earring stud. Approx. 4-6 mm from hole to edge of cuff. 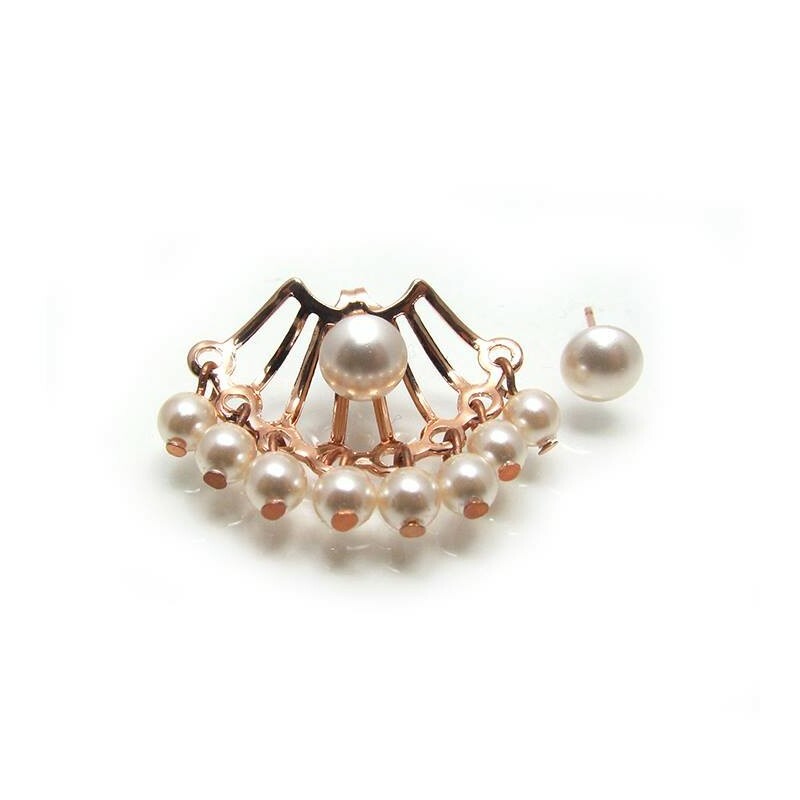 Pearl ear jacket, suitable for brides, bridesmaid or even as an everyday accessory. * Thi is a single ear jacket with pearl or flower post pair earrings. If you want to buy the ear jacket pair please choose in the product specifications: Ear jacket pair.